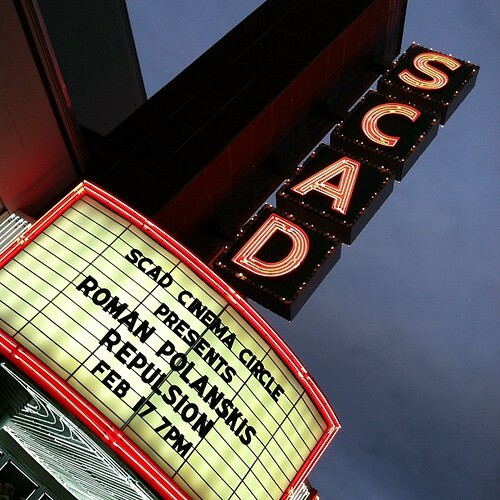 The SCAD Theater, in Savannah. Each spring, thousands of high school juniors and their parents visit colleges and universities. They trek across their home states and voyage into neighboring states. Some will board planes and visit universities on opposite coasts. It is an exciting time. Both the parents and their teenage children are doing research. Parents want to know if the schools are academically challenging and safe. Teens want to know lots of things. Does the school offer programs in what they want to study? What are the students like? And so on, and so on. The Savannah College of Art and Design is not meant for every student. For some, however, it would be hard to find a better match. SCAD has outstanding programs in design, fashion, and digital media. Students can study architectural history or furniture design at the School of Building Arts. They can study writing, cinema, liberal arts and teaching at the School of Liberal Arts. And so much more. While online research is valuable, there is nothing quite like a campus visit to get a feel for a place. SCAD offers tours to prospective students daily, except Sundays. Admissions counseling is available Monday through Friday. We suggest lodging at one of our Savannah Vacation Homes.